After Trent and I talked with a family attending the DTS and learned that there are specific Discipleship Training Schools geared toward families and that these families followed up their training with a two-month international outreach, God lit a fire in our hearts to explore this option more. Although RV family travel was on our radar for a few years before we hit the road in 2016, traveling internationally with our kids is something that we’ve desired long before that. However, each time that we’d researched options to travel overseas in a purposefully missional way, we’d been met with roadblocks (typically due to the young ages of our kids). Learning that YWAM valued God’s call on families as a unit without age limitations was exciting to discover. Trent and I began praying for wisdom and direction while also researching the different YWAM bases and varied programs they offer. We read the history of how YWAM began through the founder’s book, “Is That Really You, God? : Hearing the Voice of God.” Not only did this book give us a better feel for the heart behind the mission organization, but it provided a deeper look into some of the many ways God communicates His plan to His people. Through prayer, fasting, Scripture, and conversations with trusted advisors, we emerged confident that DTS was a direction our family would head. Although there are DTS schools all over, family DTS locations are less prevalent. At the time, the only location that we had found to offer a Family DTS with a clear training program for the ages of our kids was in Kona, Hawaii. Assuming this to be our only option, we proceeded with the application process. However, this fall as we traveled from Idaho to Florida for the winter, we stopped for a week to serve at a YWAM base in Tyler, Texas. During our stay, we met Chad and Crystal Freeman and had the opportunity to hear that God has placed a desire on their heart to develop a new Family DTS program at that location beginning in the summer of 2019. Although our application was already in process for Kona, we began to pray and ask God which location was going to be the best fit for our family. This is the crossroads at which we stood while I visited with Adelee. Because her family had just returned from their own Family DTS in Kona followed by an outreach in the Philippines, I felt especially tuned to any insight or advice she might have to offer. When she asked if we’d prayed about this decison with our kids, I knew she was asking from a place of experience. Through their YouTube channel, Adelee and Phil shared much of their own DTS experience and we’d seen how they’d involved their kids in the prayerful decision about where their family should go on outreach (click here or watch the video below to see this for yourself). While praying together as a family in a general sense is something we do on a regular basis, asking God to speak directly to our kids and expecting Him to answer in a clear way is, admittedly, entirely new. However, as Adelee stated, “Our Heavenly Father is not a grandpa and there is no Jr. Holy Spirit.” Therefore, we need to respect the relationship that our kids have with their Heavenly Father and not only invite Him to speak but to help them learn to hear His voice. Later that week I asked for help. “Lord, you are always teaching me more about who you are and inviting me to know you better! Please speak clearly to my children so that we can have confidence in which direction we should go.” Based on a story that Adelee had shared with me previously, I had an idea of how to proceed. That evening, I sat down with each child individually inviting them to pray with me. Without revealing the purpose, I asked them to pray and ask God to give them a picture of a plant. 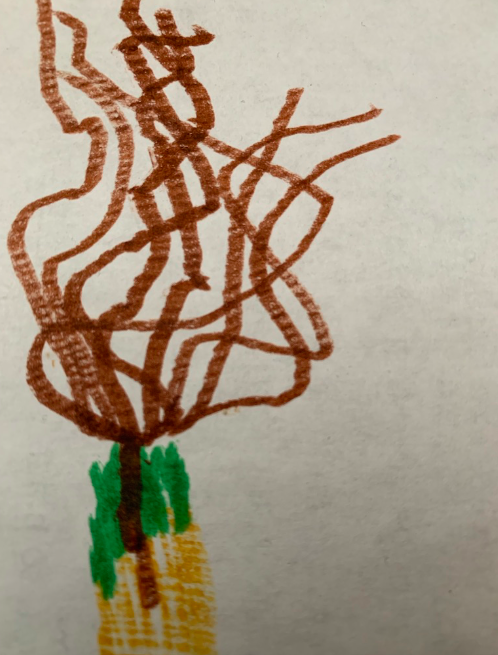 Once they had a plant in mind, I asked them to draw what they saw. Next, I asked them to ask God for the image of an animal. Third, I asked them to pray for the image of a flag or colors of a flag. Lastly, I asked them to pray and ask which DTS location they felt God wanted us to pursue. One by one, Tanner, Quinten and Tanner separately took turns praying, perceiving, and drawing. 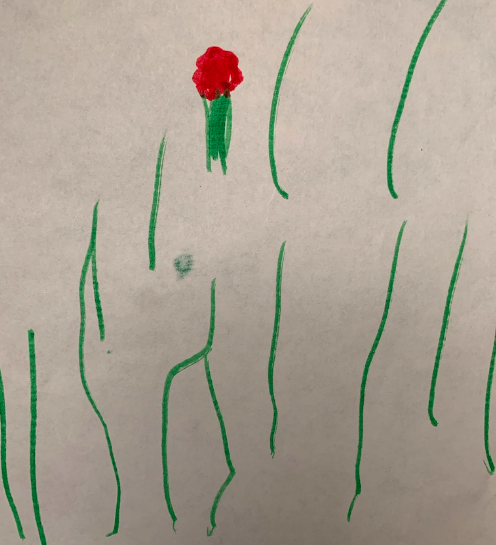 At one point Tanner said, “Mom, I see two kinds of plants, can I draw them both?” He then proceeded to draw a red rose in the middle of his grass. 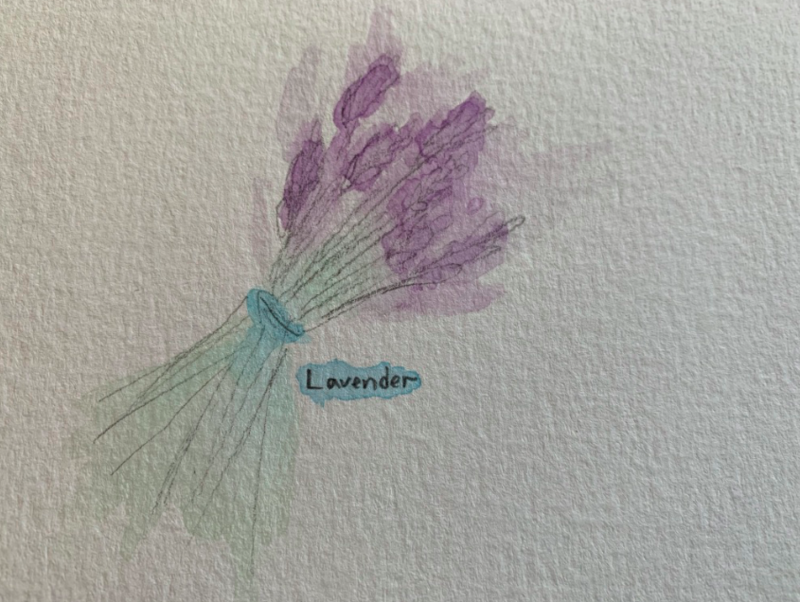 Ashlyn also had two plants to draw: wheat and lavender. When they were done, I took their drawings and information and sat down at my laptop. My job was now to connect the dots like a detective. What common denominator did their answers have and did it confirm what they felt God told them about where we should go? I’ll admit that a few times I questioned if my kids were truly hearing from God. Tigers and Elephants? Those didn’t seem to say Hawaii or Texas. However, as began to dive in, what I discovered truly grew my faith. While all the plants mentioned do in fact grow in Texas, the thing that stood out most clearly to me was Tanner’s red rose. You see, when I did a simple search for “Texas rose” the google results revealed that Tyler, Texas is the rose capital of the world! Not only that but the town’s logo includes a red rose! But what about that tiger and elephant? I discovered that not only is there a zoo in Tyler which has both tigers and elephants but second to India, Texas has the largest population of tigers in the world. Apparently, many people keep them as backyard pets! Of course, with the Gulf of Mexico along the Southern border of Texas, Tanner’s ocean fish are quite abundant as well. As we’ve shared this story with family and friends, God has continued to confirm this decision. “That is where we felt your family would go!” has been a common response. All in all, this experience has grown our faith as a family as well as reconfirmed God’s desire to speak to his children—which also includes our own. 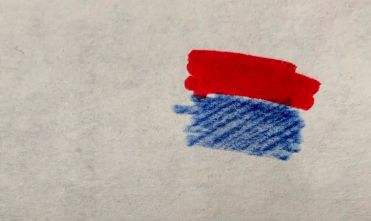 Did Hunter participate in the drawing exercise? No, he did not. Perhaps it felt too juvenile or perhaps he wasn’t comfortable for another reason. Rather than push it, we simply talked about his thoughts concerning the two different locations and he shared that he was comfortable with either option. When will our DTS happen? While the location of our DTS is clear, the rest of the details are less so. This is a brand new program at Tyler and unlike the Kona location which had more than one Family DTS program each year, currently, there is only one summer program in Tyler. This summer we plan to be available to help my in-laws relocate from Minnesota to Idaho. We are really excited about this transition for them and want to be around to help with this process. We also want to attend DTS as a complete family. This summer Hunter will turn 16 so in order to participate together before he leaves the house, we most likely will attend our DTS program during the summer of 2020. Our RVing duration has been open-ended for quite some time. While we don’t anticipate stopping all together once our DTS is done, we do expect that once Trent’s parents are living in Idaho, our time there will extend for longer durations and we may find ourselves being stationary for more months of the year than we are traveling. As always, we simply desire to be available for whatever God puts before us. I’d love to answer any questions you might have so if there is something you’d like to know, feel free to ask. Is the concept of expecting God to speak to your kids new to you or something you’ve experienced? Please share! Although I have never heard of asking God to speak to our children in such a specific way, I am super amazed at how faithfully and clearly He showed them His heart for them! Wow, this is truly beautiful and it just blesses my socks off!🤗 Thanks for sharing! And what an exciting experience God has prepared for your family in the near future! Can’t wait to hear more about it! Jeni, I was equally amazed at God’s specific, clear images that He shared with the kids!